Blackface does seem to be popular among white Democrats, it seems. Maybe in Virginia even tough there is republican in fire line there as well. Using those well-honed powers of deduction gleaned over decades of training and experience as a Police officer. Telling. So, is what he stated not factual. Do tell. LOL.....you'll always be the Dungeon's #1 troll Dave, aren't there some grammatical errors out there for you to waste more time bitching about like a good little goof? Hey I get it, being a desk jockey 24/7 has there slow days sooo.........but understand one thing, I'll ALWAYS have more experience and knowledge in police-related matters than your pathetic life ever will, so eat it. Leave the corrections to the pro, Rick. Democrats lie so much they don't even stop to think, "could this next lie come back to get me?" He's sooooo stupid, this blackface BS would have probably blown over in due time but because the dumbassery is high with these Democrats and he couldn't keep his trap shut, the pressure to resign will climb because of these outright lies. When you think about it tho, it really is par for the course with these people, they think that lowly of their voters. wife gave him the look. There's a real childish element to the guy. Isn't Tommy Davidson black enough already? 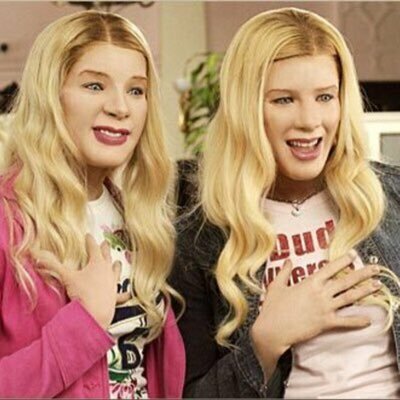 But because they're black..what the Wayans Brothers did was OK? "It is how they know you." Of course they get a pass. A white person will get crushed if they say the N word, while a black person can make money from the same word in rap music. brex and D-Zum like this.